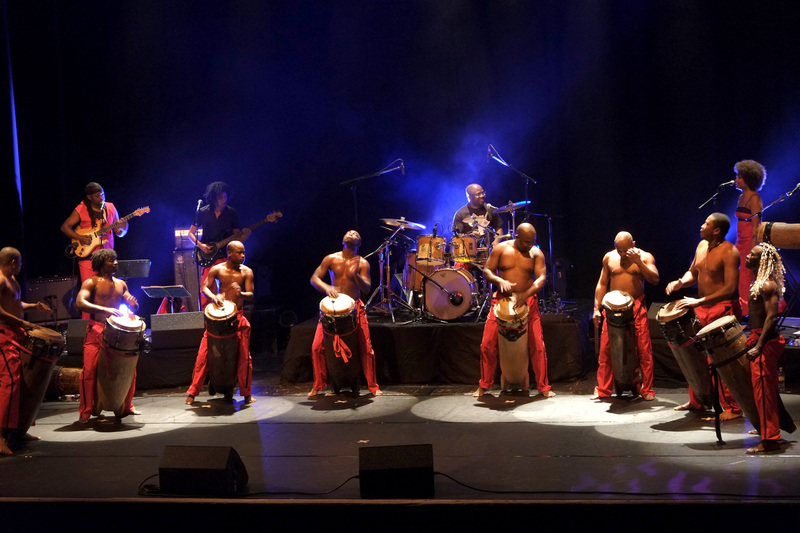 Ngomas, traditional Congolese drums, set the tone here—although the Tambours are not a traditional band—combining euphoric vocals and their percussion choreography with Jazz drums and electric bass, Rap, Reggae, and Rock, with Rumba Lingala and East African Taarab. 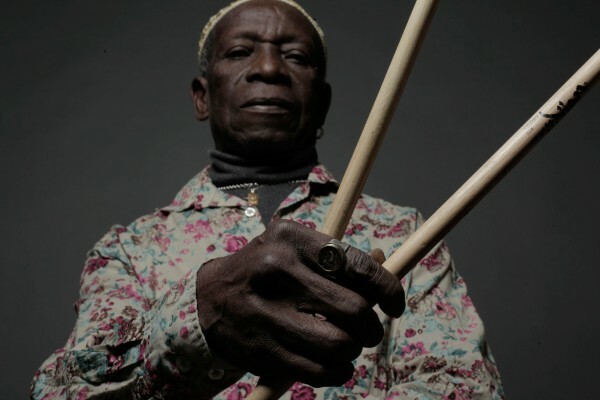 Both of them wrote musical history: One of them shaped Jazz from the 1940s onwards alongside Miles Davis and Thelonious Monk, inventing Hard Bop as the leader of the Jazz Messengers; the other founded Afrobeat with Fela Kuti in the 1970s. In 2017 Allen recorded an EP dedicated to Blakey, one of his idols—and he returns to HKW for the closing concert of 100 Years of Beat.